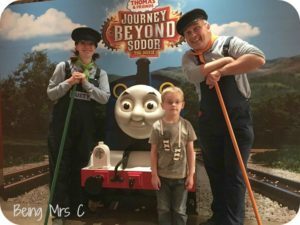 My littlest one is train obsessed, so was super excited as we headed into London on the train and then tube for a special screening of the new Thomas the Tank Engine film: Journey Beyond Sodor. 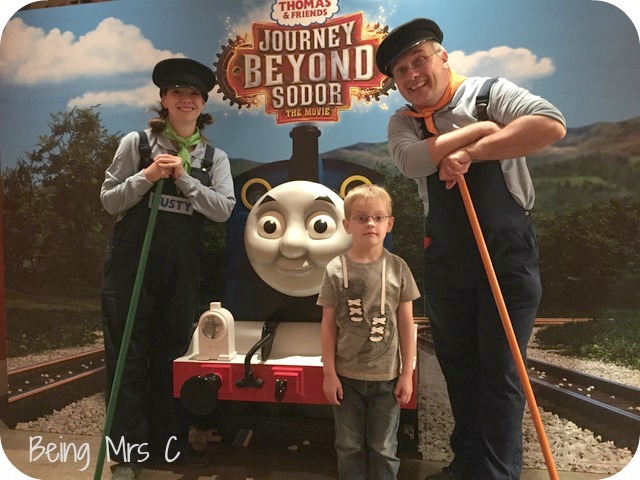 Thomas cheekily takes James’ trucks and heads over the bridge from Sodor to the mainland, but gets lost and then held hostage, labouring in the steelworks. We meet some new characters, some good, some bad, some weird, but it all comes good in the end, as you might hope. 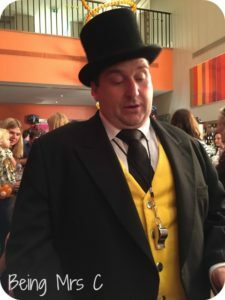 We had fun in the foyer ahead of the film, marvelling at the array of Thomas the Tank Engine toys available, spread out as if in a dream bedroom. The new breed of these toys have Thomas jumping through the air, sliding down zip wires and avoiding sharks. We have the Take-n-Play Train Maker at home already, which gets a fair bit of play. An appropriately corpulent fat controller welcomed us into the auditorium, along with Rusty and Dusty his comedy sidekicks, clowning around and getting everybody going in a sing-along. The movie starts off with a filmic title sequence, then a great song. It has a few more of those scattered through it, in the style of a West End musical. The songs are brilliantly produced, but don’t dominate. That feeling of high production values is evident throughout, with decent animation and great voice performances. Hugh Bonneville appears as Merlin the ‘disappearing’ stealth engine, though you probably wouldn’t spot it as him. Lexi probably steals the show, performance-wise. At not much over an hour, the film is just the right length for younger kids. 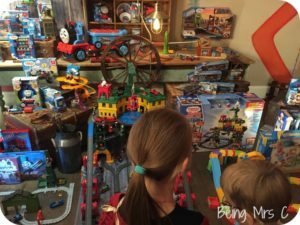 They loved it and have been playing trains all day since. It’s the sort of film I could see them watching repeatedly on DVD, once it’s available. I even enjoyed it perfectly well as an adult! For tickets and further information please see here: http://thomas-journeymovie.co.uk/Journey Beyond Sodor will be on general release from Friday 25th August, and on DVD from 16thOctober. 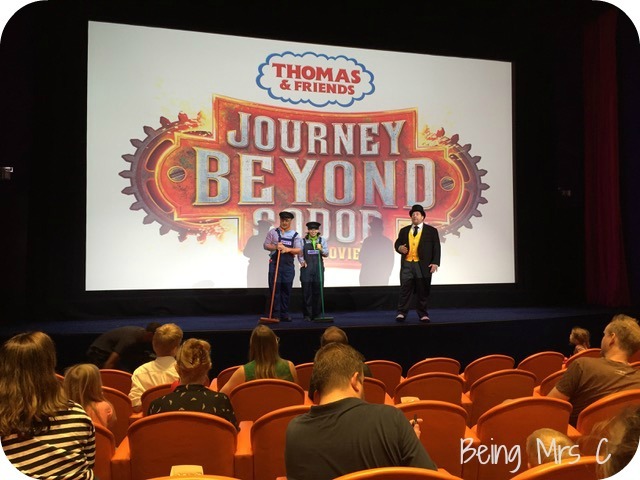 Disclaimer: We were invited along to this screening of Thomas & Friends – Journey Beyond Sodor and the children received goodie bags whilst there. I was away for the weekend so the kids went with their Dad who kindly wrote this post. All opinions remain my own.